!!! FREE DELIVERY free postage applies to UK addresses only !!! 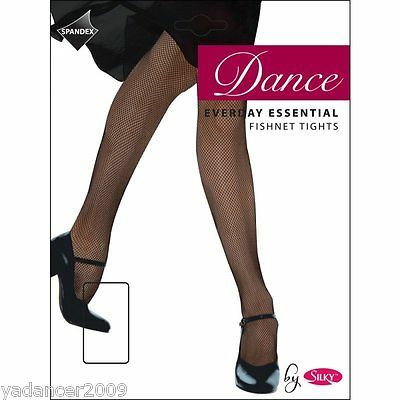 This listing is for SILKY value fishnet dance tights available in Black or Natural. One Size Medium: fits approximately height 5'-5'8" and hips 36"-42"
These tights have been introduced as a low cost, value item for one off dance performances and shows. If you require fishnets for a longer run of shows and performances then the Silky Professional Fishnet Tights should be considered.